Late last summer Pabst Brewing Company set up shop on Portland’s South Waterfront in the currently vacant Zidell Yards to host the inaugural Project Pabst, a two day music fest that brought Portland a diverse musical lineup that wowed the masses. Once again Pabst and its promotional partner Superfly are proud to announce the return of Project Pabst to Portland, Oregon on July 18th and 19th. Project Pabst is an innovative celebration of Pabst and the city of Portland that features a main festival along with additional night shows comprised of music, entertainment, food and drink. The festival will return to the restored Zidell Yards located between the new Tilikum Crossing and the Ross Island Bridge that hosted the incomparable first year’s festival. Zidell Yards will host the festival’s two stages on its 10 acres in the heart of the South Waterfront District featuring Blondie, Weezer, Passion Pit, TV On The Radio, The Both, and Against Me! will be among the many artists who will perform this year. 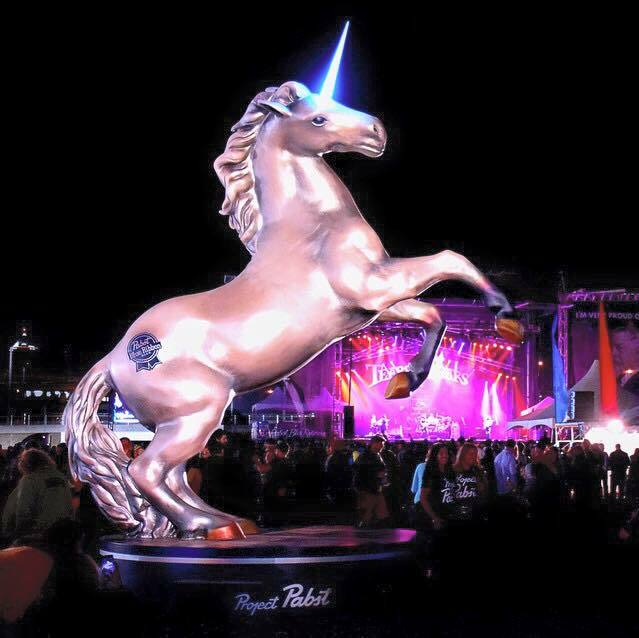 In one year, Project Pabst single-handedly raised the bar for live music in Portland. Now an annual gathering, this year’s lineup will solidify Project Pabst as the premier festival in the region, with unmatched creative programming. The Oregonian said of the inaugural event, “As debut days go, Project Pabst’s Portland reveal stuck the landing.“ In the festival’s second year, the lineup features legendary acts like Blondie, seminal UK-punks The Buzzcocks, and powerhouse hip-hop duo Run The Jewels, as well as Terry Six and King Louie Bankston of beloved Portland outfit, The Exploding Hearts. The unique strengths of these two companies using the backdrop of the beautiful waterfront in one of the greatest musical cities in the country is certain to make for another unforgettable weekend. This year’s music programming will again represent a wide range of genres, with major national headliners performing alongside exceptional emerging talent, making the event a substantial celebration of the established and the cutting edge. Local acts will also be featured prominently as the festival will represent Portland’s vibrant cultural community. The Portland flavor will also be seen in the festival’s concessions, featuring foods from local eateries. With a seemingly endless selection of music and activities, Project Pabst is certain to provide a singular festival experience that will also serve as a beacon as it shines a light on the wonders of the Portland community. Gates open to Project Pabst at 12 noon and close at 9:00pm on both Saturday and Sunday. Re-entry is permitted. To re-enter you must scan your ticket out BEFORE you exit, and re-scan your ticket in when you re-enter. Project Pabst is a 21+ event. All attendees must present a valid ID upon entry. Discounted advance tickets for the two day event have long been sold out. Tickets are still very affordable at $40 Single Day or $75 Weekend pass. Tickets can be purchased in advance here before Project Pabst sells out. One dollar from every ticket will go to help the Jeremy Wilson Foundation, dedicated to providing financial assistance in times of medical crisis and to improving the overall well-being of individual musicians and their families. But Project Pabst is more than just the two day event outside along the Willamette River waterfront. There are also other shows taking place throughout Portland over the weekend that are held in conjunction with Project Pabst at Crystal Ballroom, Dante’s, Star Theater, Revolution Hall, Doug Fir, Mississippi Studios, Ash Street Saloon, and Bunk Bar. These shows all require separate admission tickets but also are quite affordable. All night shows are 21+. All ticket buyers must present a valid ID upon entry. 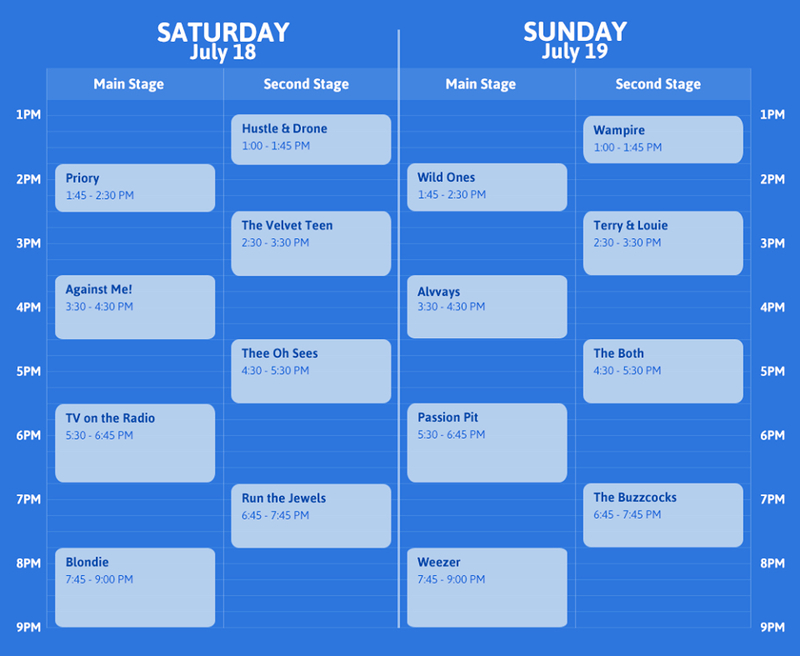 The lineup is subject to change without notice. Project Pabst will donate one dollar from every ticket sold to go to The Jeremy Wilson Foundation. The Jeremy Wilson Foundation is a 501(c)3 nonprofit musicians’ service organization dedicated to providing emergency financial assistance in times of medical crisis and to improving the overall well-being of individual musicians and their families.